A coin found at the excavation site in Yorkshire. ‘It has felt like a Richard III moment in terms of excitement’, says DigVentures cofounder Lisa Westcott Wilkins. One of the earliest Roman settlement ever to be discovered in the Yorkshire region has been unearthed by a group of crowd funded archaeologists. 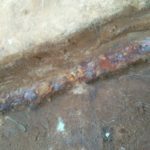 The exact location of the high status settlement has been kept a secret to protect it from night hawkers (illegal metal-detectorists) and looters, but archaeologist’s have described it as astounding. The 1st sign that there may be something worth exploring at the site came three years ago when some metal detectorists excavated a hoard of 2000-year-old silver coins. Friends Paul King, Robert Hamer and Robin Siddle found the hoard of 18 silver coins in 2015, but the discovery has been kept secret until now, to enable archaeologist’s to explore the area, which appears to be a high status Roman settlement. Previous week more silver coins were uncovered, with 100’s of Roman pottery sherds and a tiny brooch, found on one of three neonatal burials. Lisa Westcott Wilkins, who has been managing the excavation, said: “This is one of the earliest Roman settlements in the north that we have found to date. It has felt like a Richard III moment in terms of excitement,” referring to the discovery of the remains of the Plantagenet king under a car park in Leicester in 2012. 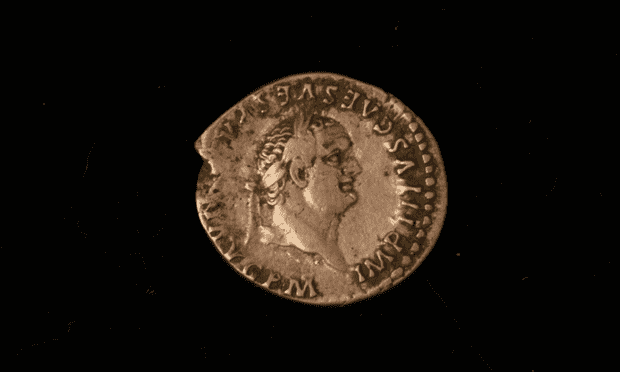 The finds so far date from the first century, she added: “All the coins date back to the time of the emperor Vespasian [AD 69–79], when the Romans marched north and established a centre at York. Some of the items we have discovered have been very exciting. These people were burying infants with jewellery – there was a beautiful brooch – which would have been for a cloak. This suggests to us that it was high status. 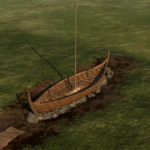 The excavation is being conducted by Dig Ventures, founded by archaeologist’s in 2012 to fill the gap left by severe cuts to research archaeology by universities and local authorities. King and his friends reported their finds to the Portable Antiquities Scheme, which encourages the recording of archaeological objects found by members of the public. A coroner will decide ownership of the treasure. “Archaeologists and detectorist’s historically have a fraught relationship. However, we were very lucky with Paul and his friend contacting the scheme and we were able to protect the site,” Wilkins said. 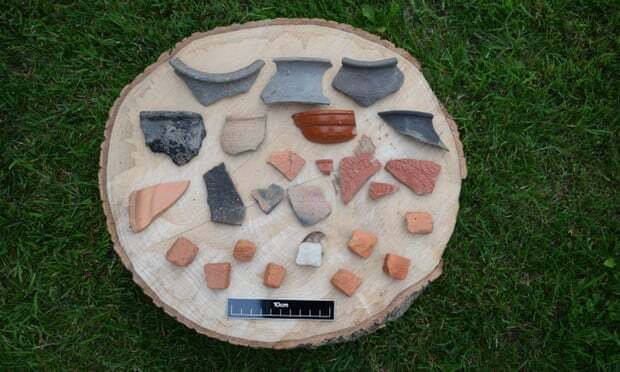 Hundreds of Roman pottery sherds have been found at the site. 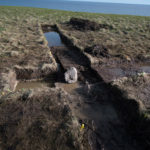 Dig teams have discovered post holes and foundation trenches, with the remnants of stone walls that once stood there and evidence suggests there were also 1 or 2 villas, possibly belonging to rich families. 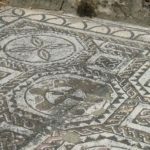 Fine pottery including decorated bowls and amphorae, which would have transported olive oil and wine from the Mediterranean, have also been found. Wilkins said the sites location would be kept secret for a while longer due to the danger of night hawkers. There is a high level of surveillance on the site. She said: “We have to protect the site’s heritage value. The land owner has already had someone arrested. The project has been partly funded by a £61,100 grant from the Heritage Lottery Fund. Dig Ventures said an important part of its work was accessibility and added it would present the finds at various public events. 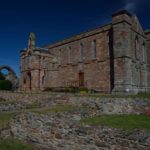 The public has also been encouraged to get involved through the Dig Nation festival, which takes place in September in Lindisfarne, with lectures and the chance to experience excavations among the events planned.